Candy! We love it, and probably shouldn’t be eating it. So how about drinking it? We know you probably have been going crazy every time you walk in ANY store and that first aisle you see nothing but the sugary sweetness as you make your way to the aisles you actually NEED to get things from. 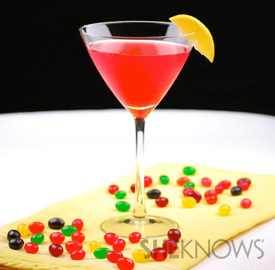 Here are three really fun cocktails that we found on a site called She Knows and we think will make you forget all about those Peeps…except for when you are garnishing your glass! Cheers! 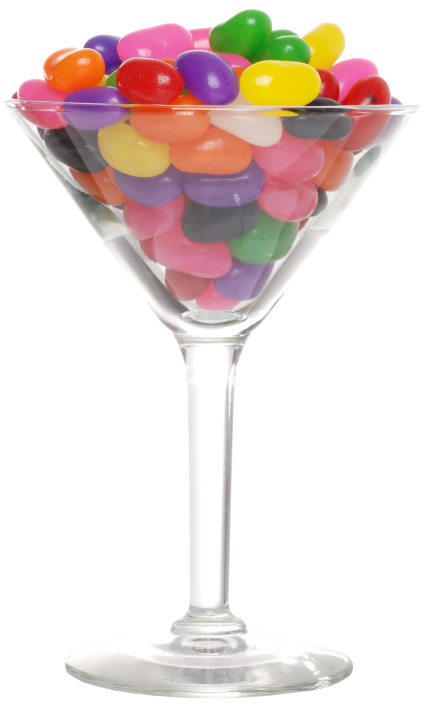 Jewel-colored jelly beans make a stunningly bright infused vodka. Try flavors like cherry or strawberry for a fruity and refreshing cocktail. Put vodka in a cocktail shaker with ice and shake to chill. Add Champagne and squeeze lemon wedge into shaker. Stir gently and strain into glass. 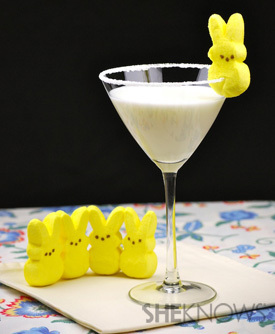 Even though we all have a love/hate relationship with those brightly colored marshmallow bunnies, you’ll have nothing but love for this martini. 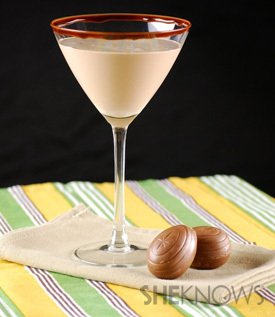 Skip dessert and head straight for this chocolaty martini. You’ll feel like you bit into a Caramel Cadbury Egg. Drizzle chocolate syrup around inside rim of glass. Shake until chocolate syrup is completely incorporated.